This plant grows only in the Southwest, so I'll give you a few hints. 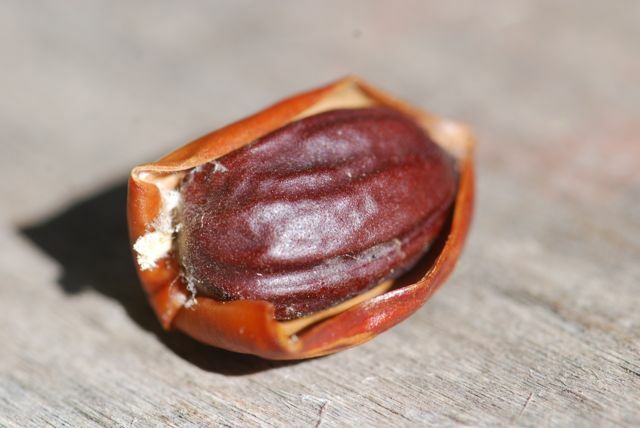 When the seed is on the plant it is covered. I have opened the covering here. 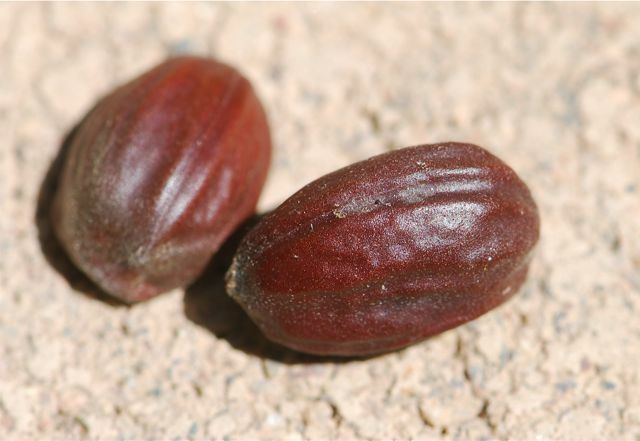 The seeds are large, about the size of an almond. They are not edible but the plant is useful and is sometimes grown as a crop.